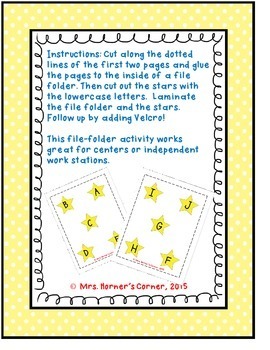 This is the first product available through Mrs. Horner's Corner! 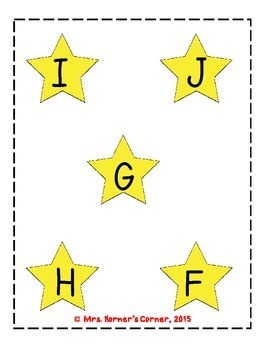 This file-folder activity will not only help your child or student develop upper-case and lower-case letter recognition for letters A through J, but also develop independent work habits. 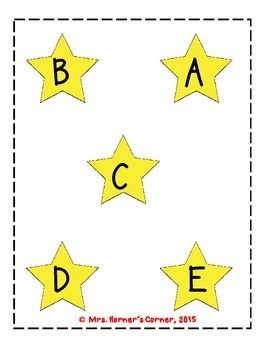 This file folder activity is simple to create and it can be used in a variety of ways - centers, independent work station, as well as for data collection. 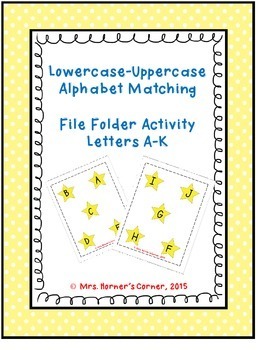 A file-folder activity for letters K through Z will be coming out soon!